iKON B.I Shows His Friendship With YG Family - YG Family fans always waiting for the interaction between YG Family. We want to know how their communicate each other in backstage or daily life. Their life seems so private to others, especialy for international fans who have hard time on fanning the artist of Korea. On 24th March 2018, iKON leader, B.I posting a lovely photo on his official Instagram @shxxbi131. 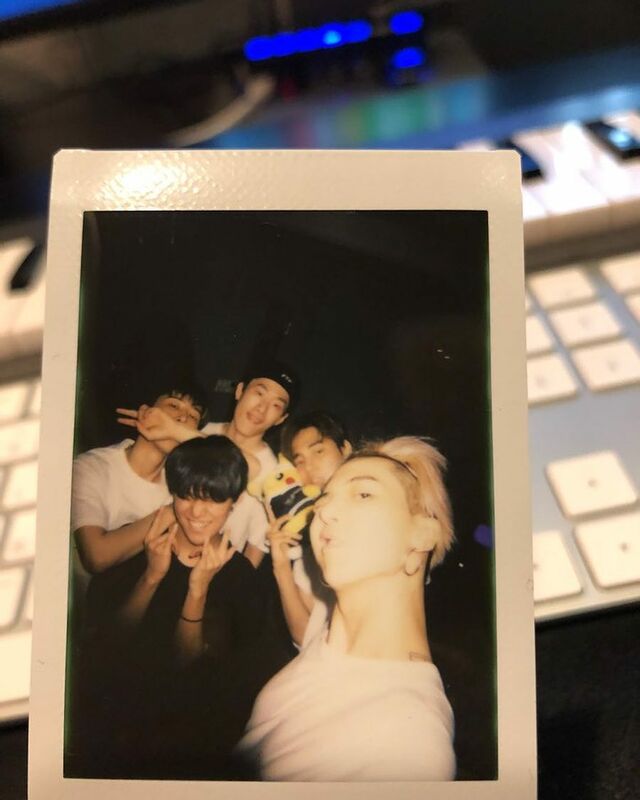 The photo shows his clossenes with YG Family, on the photo caption B.I writes "Even without any communication we all end up meeting at the studio..funny friends who can't get out of this place" (Trans by : WINKONUSA). That`s very very good news to YG stan actualy. On the photo there are Mino of WINNER, ONE, Raesung and Seung. Raesung and Seung are trainees on YG Entertainment up to now. But Raesung, ONE and B.I seems always together to make some songs, but we don`t know. Let`s wait for Raesung and Seung debut.